We have not yet had the opportunity to properly review the Reebok ZR8 Elliptical Cross Trainer, but hope to be able to very soon. 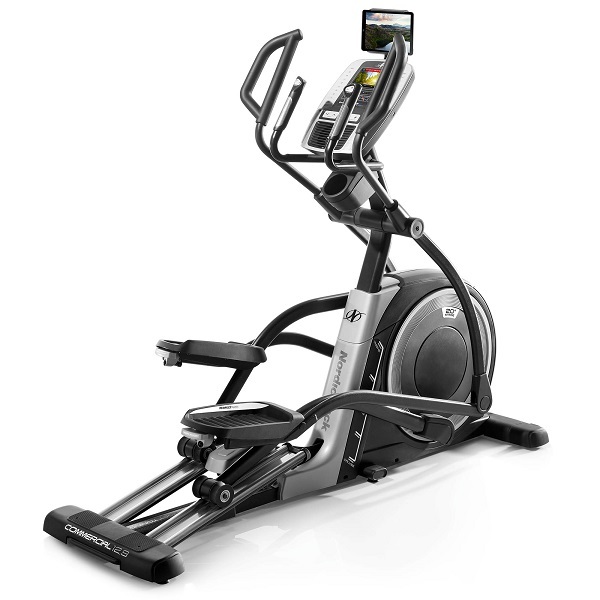 The Reebok ZR8 elliptical trainer is part of the very latest Reebok ‘ZR’ series of fitness equipment. 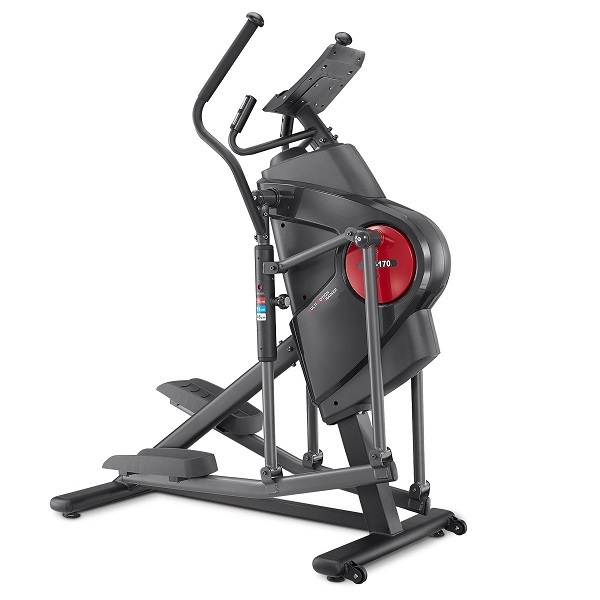 With the previous ‘Z’ series machines, Reebok proved that it was a strong contender in the home cross trainer market, making machines that were feature rich and good value. So how does the ZR8 stack up? 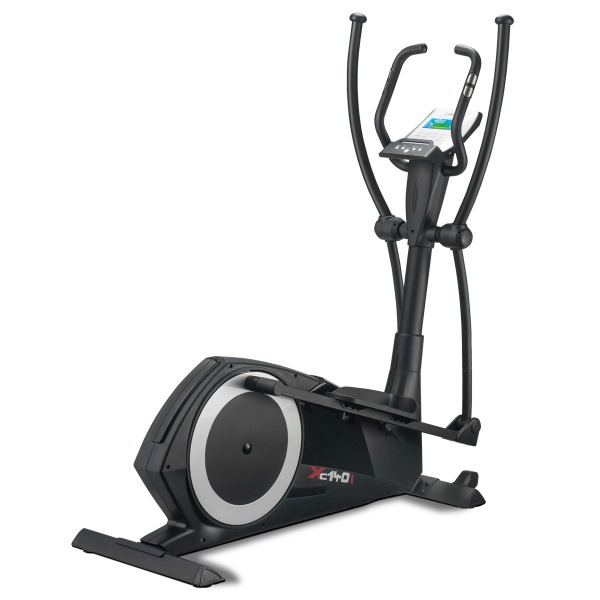 On paper, this ZR8 seems remarkably similar to the highly successful Z9 elliptical trainer. In fact, the specifications are actually identical! 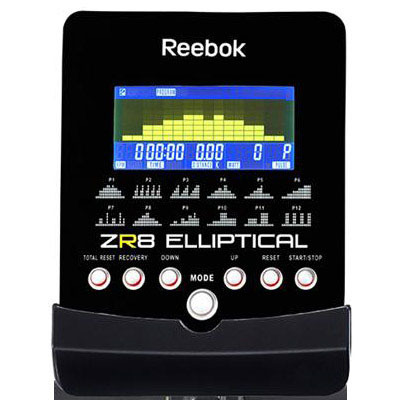 In a lot of ways, this makes sense as the previous Z9 was such a hit that Reebok seem to have just focused on a cosmetic upgrade and a rebranding of the Z9 to be named ZR8 in order to make the machine fit in with the new range of complementary treadmills and exercise bikes. As a result, our expectations were high going into test a ZR8. 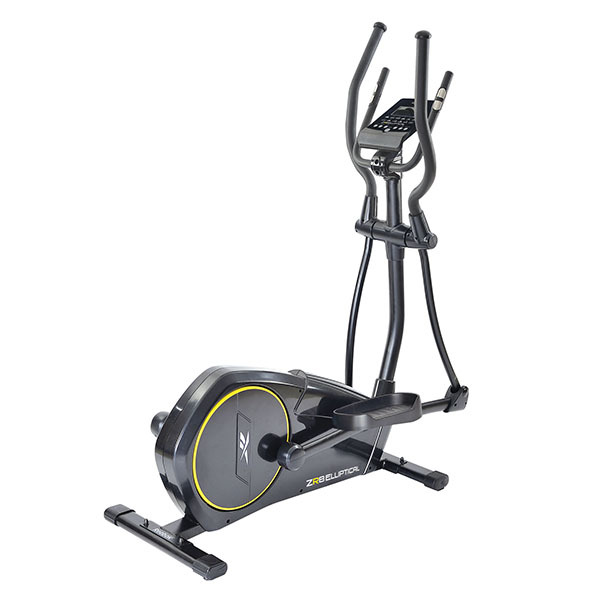 Like its predecessor, the ZR8 is a nice looking, compact cross trainer that’s mains powered. We’re pleased to confirm the motion on the ZR8 is fluid and smooth, thanks to a hefty 9kg flywheel and a respectable 15” stride length. 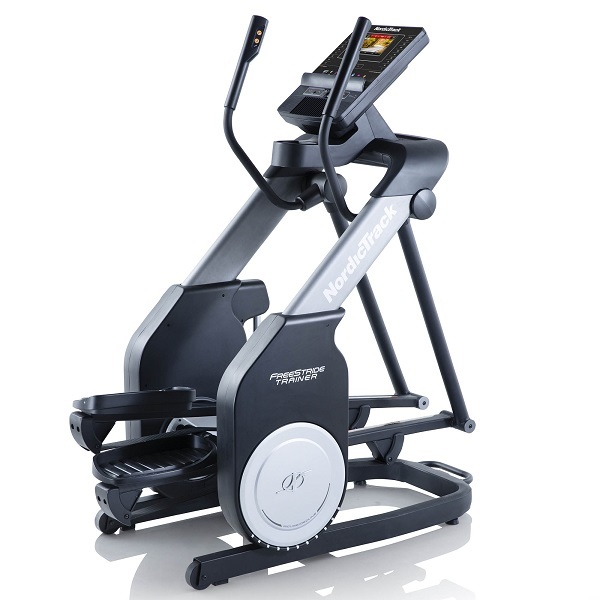 With so many similarly priced machines on the market with only a 13 or 14” stride, it’s good to see that Reebok have exercised good judgement and kept a stride length on this cross trainer that makes it pretty natural for most people under 6ft. 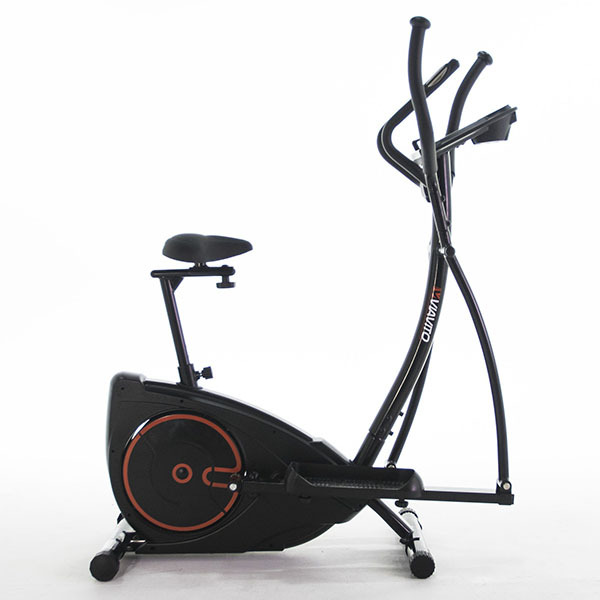 We’ve already mentioned that this cross trainer is mains powered. 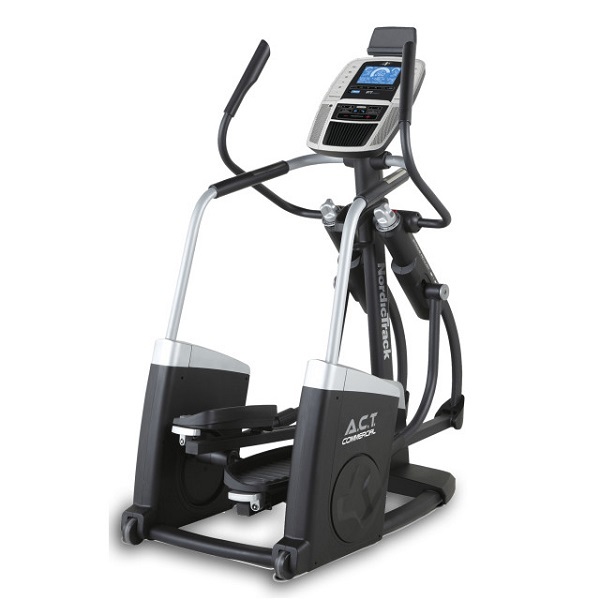 Unlike the entry-level cross trainer in the ZR range (the ZR7), the ZR8 offers a computer controlled resistance mechanism and 32 levels to boot! The console has a decent sized, colour LCD at its centre is simply and logically laid out. One look and it’s clear that’s it has a fair few features that can be accessed through the seven clearly labelled push buttons on the front. For those that just want to jump on and exercise without any complications, this is simple enough to do by pressing the start button and starting to stride and using the up and down buttons to control the resistance. The console has a decent sized, colour LCD at its centre is simply and logically laid out. One look and it’s clear that’s it has a fair few features that can be accessed through the seven clearly labelled push buttons on the front. For those that just want to jump on and exercise without any complications, this is simple enough to do by pressing the start button and starting to stride and using the up and down buttons to control the resistance. For those seeking variety, the console offers plenty of options. The manual programme is actually a target one whereby you can specify target time, distance or calories and begin exercising whilst controlling the resistance manually to suit. The target settings simply count down to zero, and you’re informed when your session goal has been achieved. There are 12 pre-set programmes to choose from and we like the fact that the resistance profiles of each of these is printed right on the console. This makes picking the right programme nice and easy. It should be noted that each of these programmes can be used at a variety of difficulty levels, providing a lot of flexibility. In addition to the target (manual) and the 12 pre-set programmes, there is a user defined programme, enabling a totally custom programme to be designed and stored in the console as well as a WATT control programme, something normally only found on much higher priced, precisely calibrated ergometers. Lastly, in terms of programmes, there is a heart rate controlled programme that allows the user’s age to be entered and a choice of 55%, 75% and 90% of maximum heart rate can be selected to exercise at. Whilst we’re big fans of heart rate controlled training, we’d advise against using the HRC functionality on the ZR8. The simple reason for this is that the ZR8 doesn’t have a wireless heart rate receiver and to use this programme, the user would have to be holding onto the static handlebars, where the pulse grip sensors are. Doing so, would result in the loss of the upper body exercise the elliptical training typically provides. 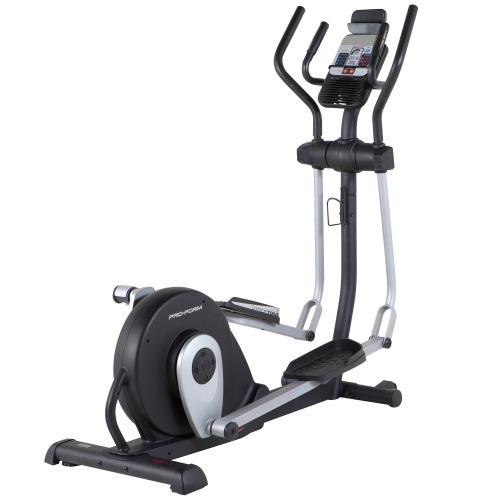 Finally, this elliptical trainer has a heart rate recovery test function. After an exercise session (which has the effect of the raising heart rate), you press the “recovery” button and grab the pulse grips on the handlebar for one minute. The computer monitors the rate at which your heart rate is returning to its resting level over this time and based on that provides a fitness rating between 1 and 6 – the lower the number, the better your fitness level. 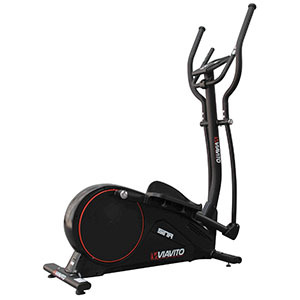 This feature provides good medium to long term motivation as it makes it possible to tangibly measure improvements in fitness levels as a result of regular use of the ZR8 cross trainer. Reebok haven’t forgotten about the practical details in this highly specced cross-trainer: there are a set of leg levellers to cope with use of the machine on slightly uneven floors and also transport wheels at the front of the machine so that the elliptical can be moved around without needing two people to lift it! The Reebok ZR8 is not currently available from any retailers we're aware of in the UK. With the ZR8, Reebok clearly have a nice cross trainer on their hands. 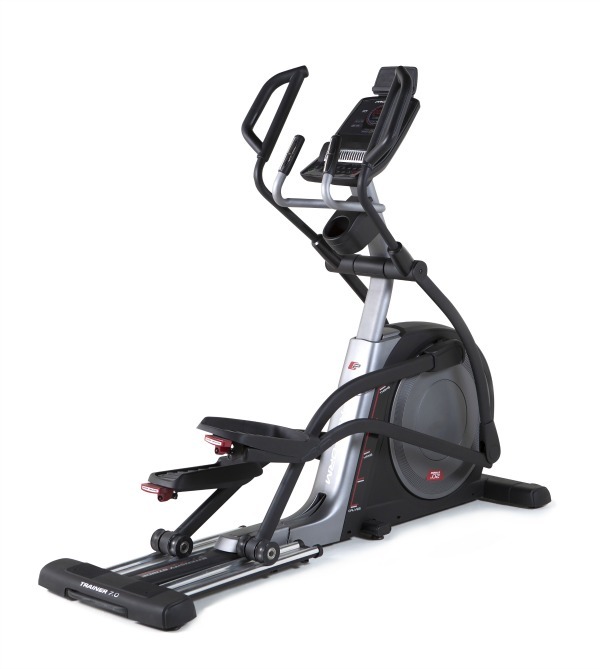 A compact sized elliptical trainer with a 9kg flywheel and a decent stride action. The thing is that it is missing some things that, while traditionally you wouldn't expect to find on an elliptical around this price, are starting to appear on their competitors' machines. One of the best examples of this is the Viavito Sina which has user profiles and wireless heart rate receiver which means you get better workout data feedback. The Sina is also at least as well put together as the ZR8 and also matches the length of warranty cover plus it has more programmes too. Well worth the extra in our opinion!